Tantalizing international array of entrees and desserts, prepared to perfection at any one of our seven action stations. 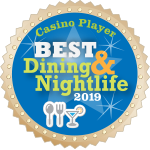 Choose from Classic Southern, Italian, Asian, Backyard Bar-B-Que, a Carvery, Salad Bar and the Bakery will help you round off your world-class meal with tempting treats. If reserving our private dining room for small meetings, groups, or special occasions, you must have between 15 and 60 people. $7.99 Crab in One and One Half Pound Bucket (as purchased). Children's pricing available (under 13). 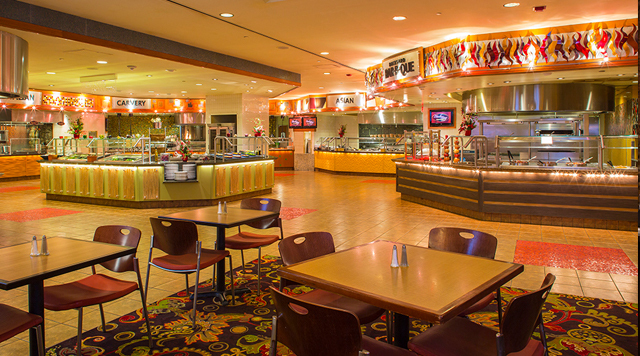 Back Bay Buffet will close for menu change Monday through Friday from 10:30am - 11:00am and 3:00pm - 3:30pm; Saturday from 3:00pm - 3:30pm; and Sunday from 10:30am - 11:00am.